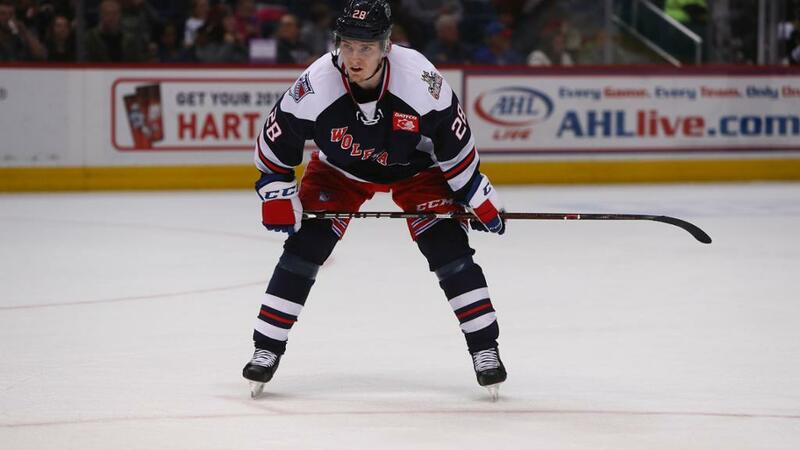 The Rangers have recalled forward Lias Andersson from the Hartford Wolf Pack, his second such call up this year. Andersson has spent 21 games with the Rangers this year, putting up a line of 1-3-4. In Hartford, Andersson has a line of 6-14-20 in 34 games. Andersson, the Rangers first 1st round selection in 2017, has been back and forth to the AHL a few times. The biggest knock is his skating and three-zone work. Let’s see how he does. Is this a precursor to something that’s about to happen? Stay tuned! Ottawa is holding things up right now, once Duchene and Stone are moved, Gorton will move Hayes and Zuc by Sunday or Monday. The GM at the Jets is such a wuss when it comes to striking deals, Kevin C. has one of the best farm systems in the NHL and does not want to move them. No way all prospects make it and if the Jets face Tampa right now, no way they will get past that team. Adding Zuc into the Jets top 6 and Hayes as their 3C would be scary good for Winnipeg. Is the chatter on Kreider just that, or is it somewhat serious? It’s serious if some team wants to ante up a king’s ransom for him, like a good first round pick AND their best current prospect, AND maybe a starting player. Otherwise, it ain’t happenin’. Teams are hot for Kredier but much is a lot of noise, Hayes, Zuc, McQuaid as reported by TSN and add maybe Freddie C going. If Kredier is moved, would be during the off-season, Rangers have to maneuver their cap space a bit due to the Smith, Staal and Hank contracts. Staal is not going anywhere and nobody wants Smith including the Charleston Cheifs so most likely another buyout coming potentially. My opinion on Smith off course. And to think there are plenty who want to retain money to make trades, while we could be in a jam ourselves, how ironic!!!!!!! Is there any scenario in which the Rangers could pick up Stone (and keep Kreider and ZBad)? Is Stone definitely leaving Ottawa? Everyone wants out of Ottawa, I was specifically told this by a Senator player back in late October when the Sens were playing the Coyotes. My friend and I had dinner with a player from the Sens, let me tell you, many of the guys in the locker room were pissed to see Mike Hoffman go…. Either Zucc or Hayes (or both) not in the lineup tonight. If Krieder has a mysterious upper body injury, hold on to your hats. DQ said the same thing about those three playing tonight. Carl Hagelin was traded to the Washington Capitals by the Los Angeles Kings on Thursday for a third-round pick in the 2019 NHL Draft and a conditional sixth-round choice in the 2020 NHL Draft. Hard to believe that Hagelin is 30 already. Time flies. A little surprised as well, thought if Boyle was going to fetch a 2nd then someone might offer the same for Hagelin … but hey, it’s still a buyer’s market. What I found more interesting though was the Bruins giving up Donato. Haven’t seen him play this year, but I guess he’s come off the high from last year. Not that Coyle isn’t a good addition to the Bruins, but I’ve always seen him as promise unfulfilled — he is a big body though and perhaps a better fit for the playoffs. Hagelin has 8 points this year, and has been much less the player that he was as a Ranger for the last 3 seasons. That’s why he didn’t cost as much as Boyle. And everybody screamed bloody murder that we should have signed him for the four year deal he got. Funny how quickly these guys fall from grace, and become junk over night !!!!!!! Keeping the footspeed when Father Time comes calling is hard to do. Guys like Patrick Marleau are amazing that way—old as the hills and still fleet of foot. I just wonder how fast both Hayes, and Zucc hit that slippery slope?????? Let other teams pay thru the nose for the later years!!!!!!!!!! No we should pay through the nose. Hayes is 26, the slope is years away. Howden was placed on IR. That doesn’t mean a move isn’t still coming of course, but roster back to 23 at the moment. It’s probably retroactive to create space through the deadline for trading purposes. Stinky traded to the Caps to help bolster their anemic penalty kill. Lias getting more NHL exposure, perhaps Boo will spend some time in the pressbox. All part of the development process.